Blasts and their effects occur too quickly to be captured with standard speed video cameras. To see what you’ve been missing – you must record your blasts with high speed video. 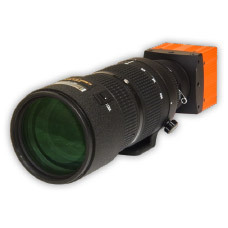 If you want to determine the effects of blasts on structures or vehicles or determine the actual firing times of your blastholes and the nature of the rock movement, the digital video camera with the light sensitivity, speed and resolution to accurately capture these events is the BlastCam™ High Speed Camera. It is a complete high speed video recording system with an easy-to-use operator interface and the ability to self-trigger for unattended recording without the need to run external trigger wires.